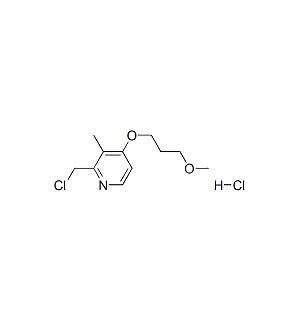 Rabeprazole Chloride Compound is a white to off-white powder CAS 153259-31-5 Molecular formula is C11H17Cl2NO2, molecular weight is 266.16. we designed several routes for the synthesis of this intermediate. after a comprehensive analysis of a variety of routes and many times the practice of inspection and comparison, we had chosen one of the higher yield with stability product quality route, which reduces the Vice reaction and also reduces the production cost. So we believe that our synthesis process of Rabeprazole chloride hydrochloride has strong market competitiveness. Looking for ideal 153259-31-5 For Rabeprazole Manufacturer & supplier ? We have a wide selection at great prices to help you get creative. All the CAS 153259-31-5 are quality guaranteed. We are China Origin Factory of CAS NUMBER 153259-31-5. If you have any question, please feel free to contact us.